It’s been a big year for manufacturing in Australia. Activity surged to its highest level in 15 years during 2017. Then began to slow down again. We met robots such as Sophia and AMY. We said goodbye to 457 visas, and hello to Amazon. As the new year rapidly approaches, we can’t help but wonder… what does 2018 hold? We asked the experts for their thoughts on the big changes ahead and where manufacturers’ priorities should be in the coming year. Will manufacturers be investing in automation and digitisation systems and technologies in 2018? The answer was a resounding “yes” from the experts. Is augmented reality the new reality for manufacturing? Find out here. The Asian market was a hot topic for our panel, with Dingley and Henderson agreeing that there will be continued Chinese demand for Australian-made products in the coming year. Dingley points to trends such as the explosive growth of daigou personal shoppers seen in 2017 and says “they will continue strongly, placing further pressure on Australian manufacturers”. Australian produce has been favoured by China particularly for several years, with pointers for small business to get ready for Asian export growth plus how Australian food manufacturers can become Asia’s deli. Australia’s access to cheap electricity and gas in the past has led to an industrial manufacturing sector that hasn’t invested in energy efficient equipment and processes. However, with retail energy costs soaring, that could all be about to change. Are services playing a bigger role in the business model of manufacturing companies? While “servitisation” has traditionally been much less developed in Australia than elsewhere in the world, David Chuter says that could all change in 2018. “More and more manufacturers invest and develop the capabilities they need to provide services and solutions that supplement their traditional manufacturing offerings. They are moving away from asset utilisation to sharing rather than ownership model,” explains Chuter. The Federal Government recently unveiled its National Food Waste Strategy with the aim of halving Australian food waste by 2030. So, what does this mean for manufacturers in 2018? Mark Dingley predicts that leading food manufacturers will look at designing and implementing voluntary industry standards on food labelling to help meet this target. “New labelling technologies are emerging that may help accelerate progress – for example, providing colour or tactile changes to indicate food is close to use by date,” he says. Learn how the rest of the world is tackling food waste in this article. 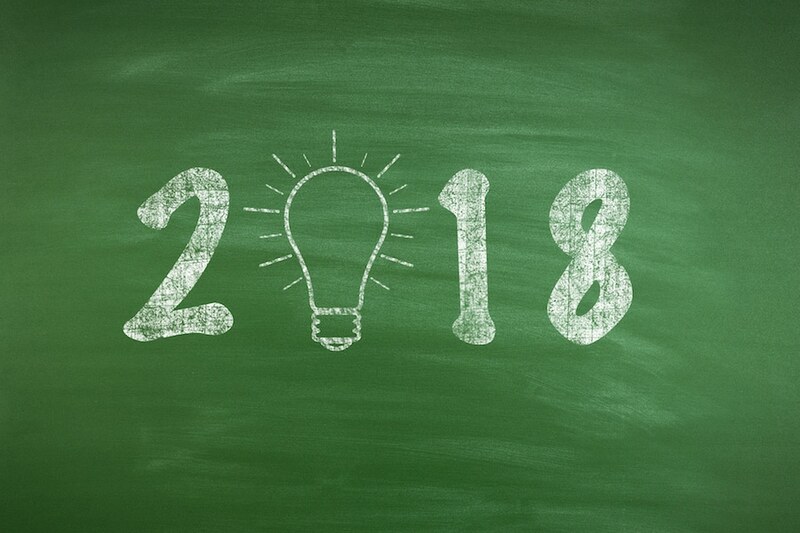 What will manufacturers’ priorities be in 2018? What are your predictions for manufacturing in 2018? What will your priorities be in the year ahead? Share your thoughts in the comments below. Rewind the clock to read our experts’ predictions for 2017 and see whether they came true. Then cast your mind back to the predicted big changes in 2016 for the manufacturing industry. This entry was posted in Innovation and Best Practices, Product Identification Technologies and tagged featured. The small Industries have need to establish relationships with suppliers and extend their dragnets to parts of the global business world as an innovative expansion procedure. Manufacturing companies in the United States are getting used to operating only within their geographical position which does not encourage business success in a global world.